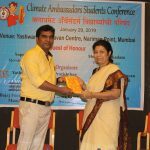 Climate Ambassadors Students Conference 2018. 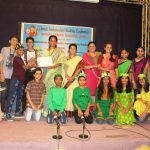 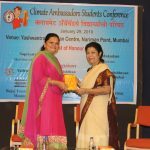 Climate Ambassadors Students Conference – felicitation of outstanding students, teachers of schools and colleges implementing remarkable activities in the project Climate Ambassadors Mumbai-Stockholm 2018. 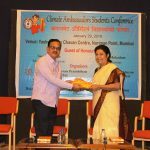 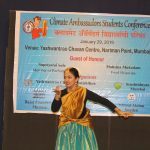 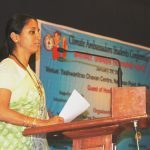 In Collaboration with Yashwantrao Chavan Pratristhan and Srushtidnyan organized this conference on 29th January 2019. 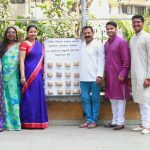 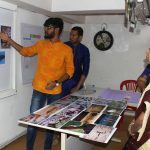 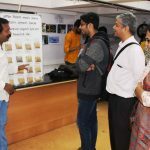 Guests of honour M. P. Supriyatai Sule, Food Historian Dr. Mohsina Mukadam and Chief Secretary Mr. Sharad Kale admired the efforts of students to fight against Climate Change. 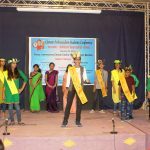 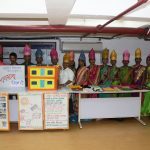 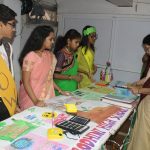 Children presented their answers to the climate change through project models, posters, poems, songs and fashion show on millets. 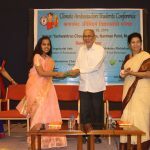 The conscientious efforts of srushtidnyan and Y.C.P. 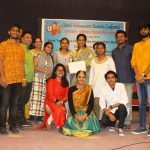 team members made this conference a big success.